Overhand throwing places extremely high stresses on the elbow, which can lead to serious overuse injury. Overuse injuries develop when an athletic movement is repeated during play and when these periods of play are so frequent that the body does not have enough time to rest and heal. Although throwing injuries in the elbow most commonly occur in pitchers, they can be seen in any athlete who participates in repetitive overhand throwing. The elbow joint is where three bones in the arm meet: upper arm bone (humerus) and the two bones in the forearm (radius and ulna). The elbow is a combination hinge and pivot joint. The hinge part of the joint lets the arm bend and straighten. The pivot part lets the lower arm twist and rotate. On the inner and outer sides of the elbow, thick ligaments called collateral ligaments hold the elbow joint together and prevent dislocation. The ligament on the inside of the elbow is the ulnar collateral ligament (UCL). The UCL runs from the inner side of the humerus to the inner side of the ulna and must withstand extreme stresses as it stabilizes the elbow during overhand throwing. The DOC orthopedist will discuss the athlete’s general medical health, symptoms, and the nature and frequency of athletic participation. During the physical examination, the doctor will check the range of motion, strength, and stability of the elbow. X-rays will often show stress fractures, bone spurs, and other abnormalities. Magnetic resonance imaging (MRI) scans provide an excellent view of the soft tissues of the elbow, and can help the doctor determine the severity of an injury, such as whether a ligament is mildly damaged or completely torn. Athletes who have an unstable or torn UCL, and who do not respond to nonsurgical treatment such as rest, physical therapy and anti-inflammatory medications, are candidates for surgical UCL reconstruction. 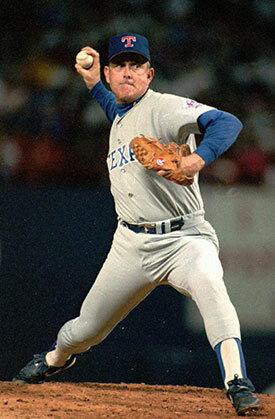 UCL reconstruction surgery is also called Tommy John surgery, named after former Los Angeles Dodgers pitcher Tommy John. In 1974, he underwent the first successful surgery of this type. During the procedure, the DOC orthopedic surgeon will replace the torn ligament with a tissue graft, using one of the guest patient’s own tendons. UCL reconstruction has become a common procedure, helping professional and college athletes continue to compete in a range of sports. Current research is focused on identifying risk factors for elbow injury and strategies for injury prevention. Proper conditioning, technique, and recovery time can help to prevent throwing injuries in the elbow. In the case of younger athletes, pitching guidelines regarding number of pitches per game and week, as well as type of pitches thrown, have been developed to protect children from injury.